Welcome to the website of the Sports Coalition. The Coalition is comprised of representative associations for sports shooting and angling interests. Its objectives are to defend and represent the interests of resident sports shooting and angling men and women. 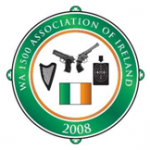 This website was established to disseminate information to the members of the constituent associations concerning the latest proposals of the Gardai and the Department of Justice and Equality to further restrict possession of firearms for sporting purposes without justification. A large campaign has been launched to fight these very unjust proposals and the website will be the focal point for all our supporters. It is a “one-stop-shop” for information, updates, commentary and direction to member associations, clubs, individuals, supporters and politicians and will assist everyone in helping to oppose these most unreasonable proposals. The site will be updated regularly and we will post the latest information as it arises. Please use the website as a tool to assist you in briefing and lobbying your constituency politicians and other public representatives. We hope with your help, to inform those who will eventually be called upon to make the final decisions.